Follow preparations for Canada Day celebrations with the Hill Cam. We are proud of the nation we have built together over the last 144 years. Since the earliest days of our history, Canada has been a land of promise. We have built a society that celebrates achievement and excellence, while at the same time maintaining a strong respect for human rights. Our participation in Celebrate Canada activities brings us together, strengthens our communities, and helps us understand the significance of the citizenship we all share. We celebrate Canada Day in grand style in the nation’s capital. Every year, tens of thousands of people flock to Parliament Hill to take part in the Canada Day Noon Show with the Governor General, the Prime Minister, and the Minister of Canadian Heritage and Official Languages. This year, we celebrate “Canada: A proud past, a bright future!” and welcome Their Royal Highnesses The Duke and Duchess of Cambridge to celebrate Canada’s 144th birthday with us on the Hill, as they start their first international tour as a royal couple. The Department of Canadian Heritage presents the Canada Day Noon Show in collaboration with the National Capital Commission (NCC). This special event is broadcast live on television through CBC, the CBC News Network, Radio-Canada, and RDI. Events continue throughout the day in the National Capital Region, including the Evening Show on Parliament Hill, and end with the traditional Canada Day fireworks. For more information, visit canadascapital.gc.ca/canadaday and take a look at the 2011 Canada Day Activities. 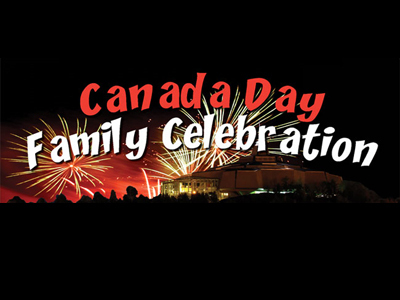 Contact your Canadian Heritage Regional Office for information on Canada Day activities taking place near you. 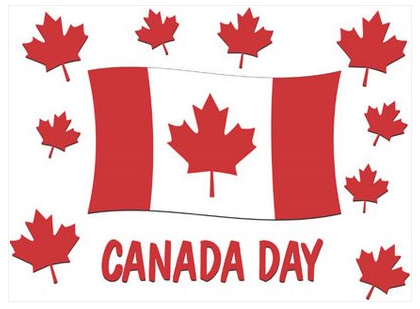 Joins your friends and family, and take part in local community celebrations to mark this important day for all Canadians! 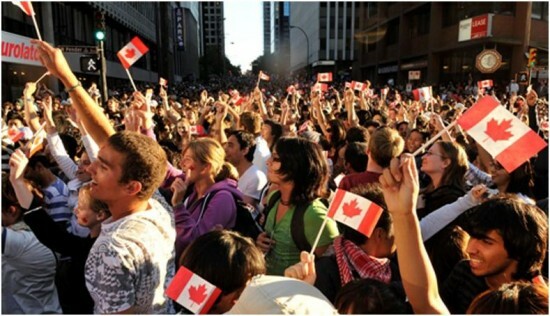 Learn more about the History of Canada Day.